The Workin Class is producer Dree and MC/lyricist Unknown, , Dree & Unknown linked up in 2010 while both grinding through the working class struggle trying to balance the 9-5 with family/life/happiness. Dree challenged Josh to try and hop on one of his many unique, and from there it was a wrap! Since then they've been known as "2 workin class kids just tryna get paid". 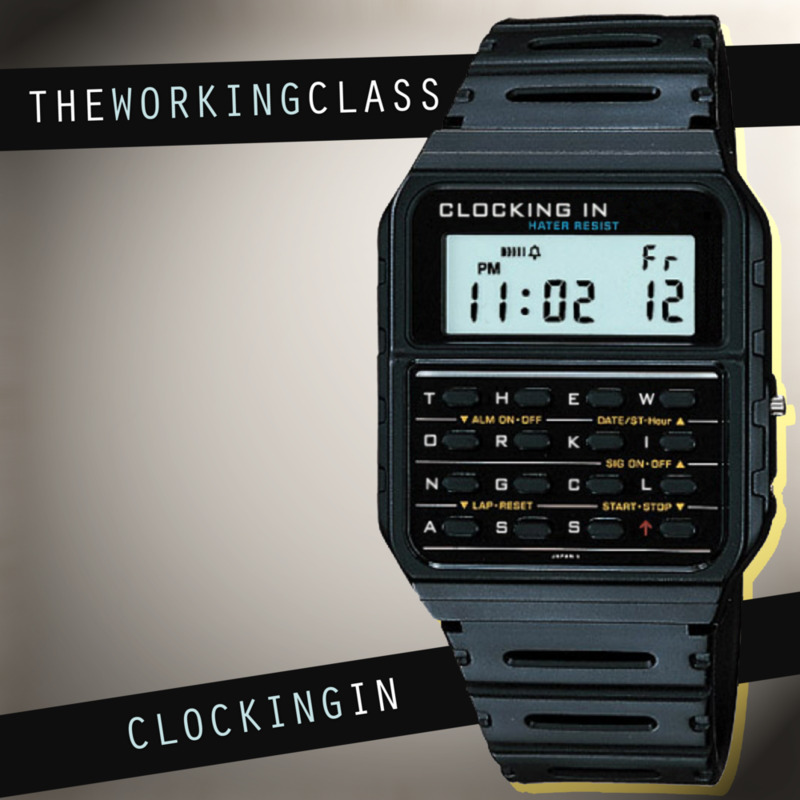 Their debut mixtape "Clocking In" featured their debut radio single "We Here". While working on cuts for their upcoming album, they found themselves with a good problem...they had so many good tracks in the works but they wouldn't all make the album. So the fellas decide to drop another FREE mixtape "Daydream". The Class are currently wrapping up their much-awaited full length album, American Dream American Nightmare (ADAN). Follow on twitter @TheWorkinClass and Facebook! Sign up for The Workin Class newsletter! The New E.P. Daydream, which is a prelude to their upcoming double concept-album, "ADAN (American Dream/American Nightmare)" is OUT NOW! Daydream E.P. features Chev, Mo Pa1n, Malik Diamond, and The Engin33r. You can also stream the album with the embedded SoundCloud below. Subscribe to get updates on upcoming video releases! The Working Class Debut Album is out now! Clocking In by The Working Class is licensed under a Creative Commons Attribution-NonCommercial-ShareAlike 3.0 Unported License. Based on a work at http://www.ashytojazzy.com/workingclass/. Permissions beyond the scope of this license may be available at http://www.ashytojazzy.com/contact/.